This is my favorite time of year. 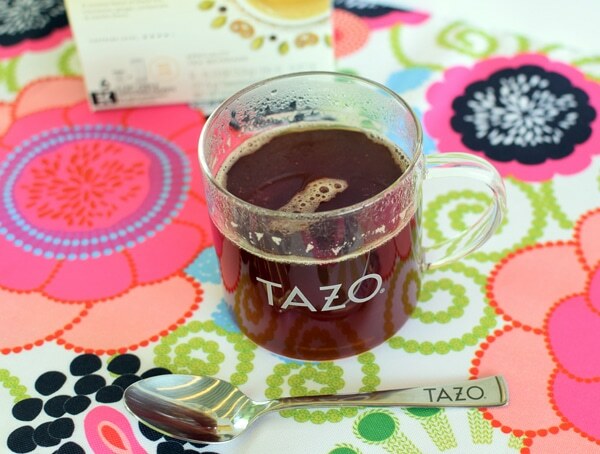 I absolutely love the warm evenings – sitting on my enclosed porch with a book and having tea time with TAZO®. I recently had the opportunity to try the TAZO® Chai Latte K-Cup® pods and I was intrigued to try a taste after I smelled the flavorful aroma coming from my cup. 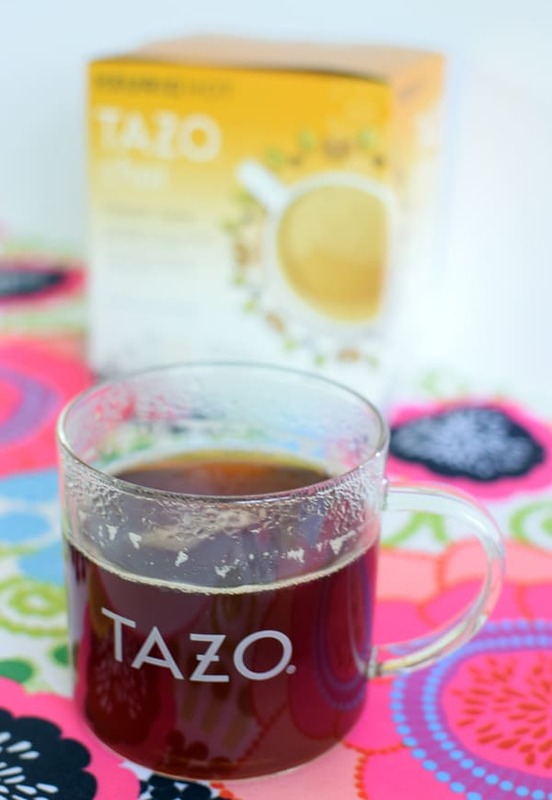 The new TAZO® Chai Latte is a creamy blend of black tea, cinnamon, ginger, cardamom and vanilla flavor. It’s the perfect blend of sweet meets spicy and it’s definitely a great treat after a long day! The new TAZO® Chai Latte K-Cup® pods allow you to explore a world of flavor right at your fingertips. Just think about it – all of the kids are tucked into bed and you finally have some time to yourself. Relax and enjoy some of that much-needed quite time as your taste buds set you off on an imaginary journey through exotic lands of sweet cinnamon, fragrant cardamom, and spicy ginger. Doesn’t that sound wonderful? 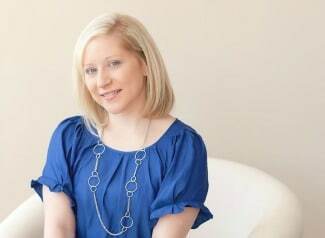 As a busy mom, I know how important it is to take time out for yourself and recharge for the next busy day ahead! If you love to entertain at home like I do, new TAZO® Chai Latte K-Cup® pods are perfect to serve when you have company over or some girl time with your best gal pals. TAZO® recently partnered with New York Times bestselling author and host Padma Lakshmi to celebrate the release of the new TAZO K-Cup® pods. Tea and chai have always been a part of Padma Lakshmi’s life and family heritage and she is excited to celebrate the flavors of chai with TAZO®. She developed recipes that pair perfectly with a cup of chai. Check them out here: TAZO.com/chai/pairings. 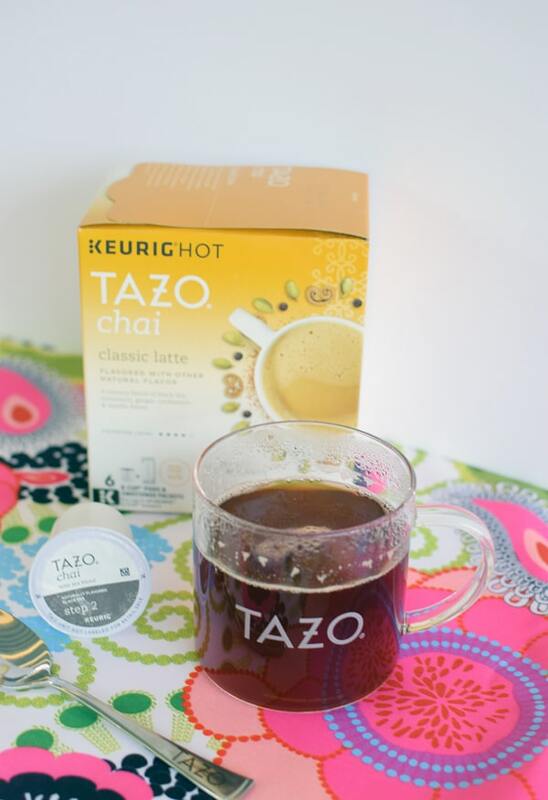 Have you tried TAZO® Chai Latte K-Cup® pods? Let us know what you think about them in the comments below! Check out where you can buy TAZO® Chai Latte K-Cup® pods at TAZO.com/wheretobuy.